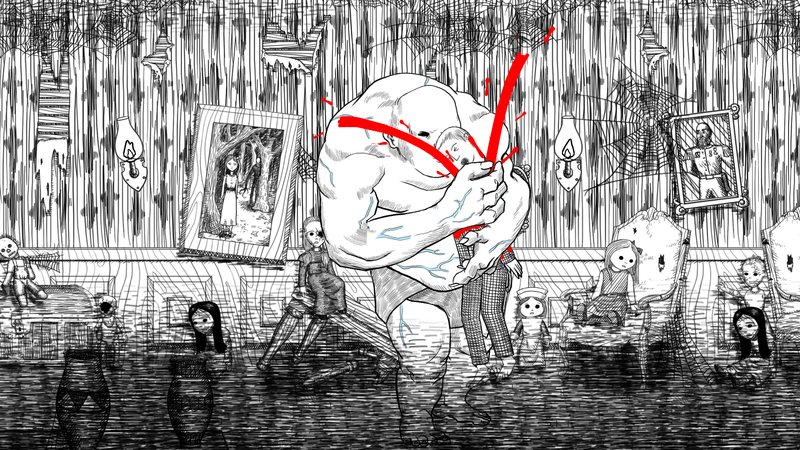 Neverending Nightmares is a psychological horror game inspired by developer Matt Gilgenbach’s battle with depression and obsessive-compulsive disorder. 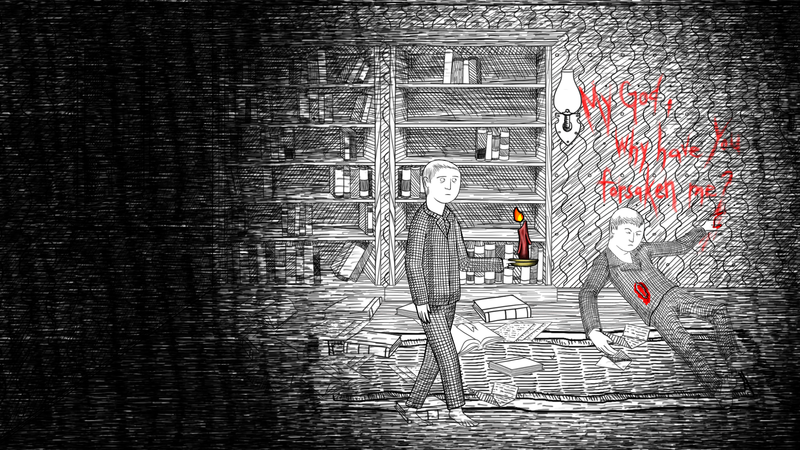 Intended to evoke discomfort and convey the bleak and often hopeless feelings associated with these mental illnesses, Neverending Nightmares seeks to engross players in a metaphorical and interactive experience. Designed to show how mental illness can negatively color and impact the perception of everyday life, you’ll take on the role of Thomas, who awakes from a nightmare only to find that he’s still dreaming. As he descends through the layers of hellish dreamscapes, he must hide from horrifying apparitions and outrun his inner demons. He must discover which of the horrors he encounters are a manifestation of his own psychological state, and figure out what reality will be when he finally wakes up. 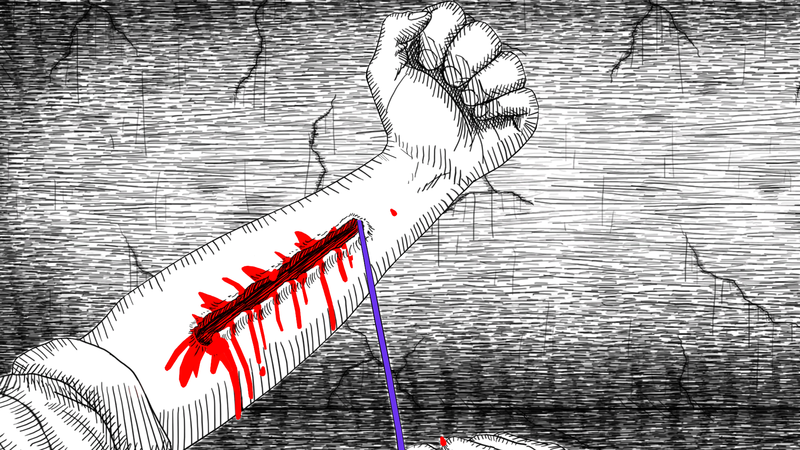 Created with careful attention to the overall ambience and environment, much thought has been put into the art and sound design to ensure the game cultivates an unsettling experience. 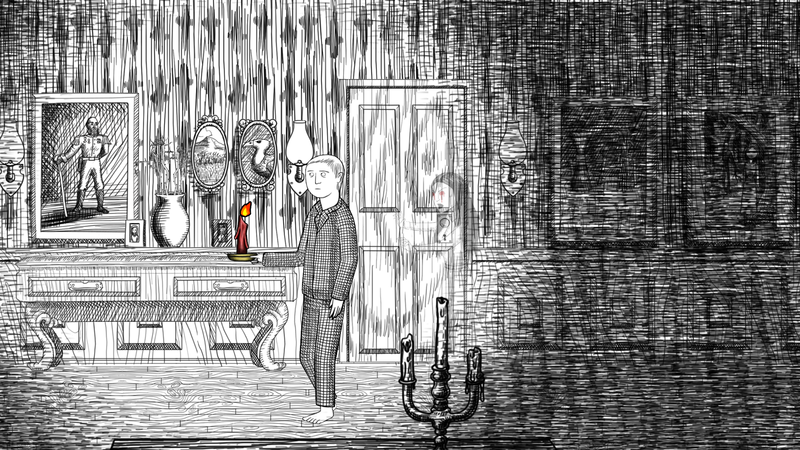 Designed with a stylized impressionistic black and white art style inspired by Edward Gorey, the art is intended to make the player feel as if their world is closing in on them. The score, by IGF-nominated composer Skyler McGlothlin, delivers an oppressively haunting score that amplifies tension and the feeling of darkness. Thomas feels similar to how many feel when dealing with mental illness: unable to find a way out. He’s unable to escape or find respite from his nightmares. 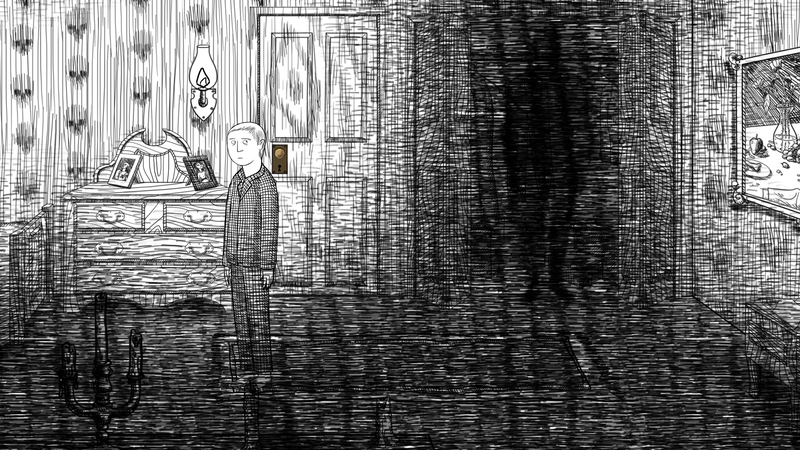 Unlike typical game experiences focused on empowerment, Neverending Nightmares focuses on feeling powerless and defenseless, unable to muster up hope or a solution. 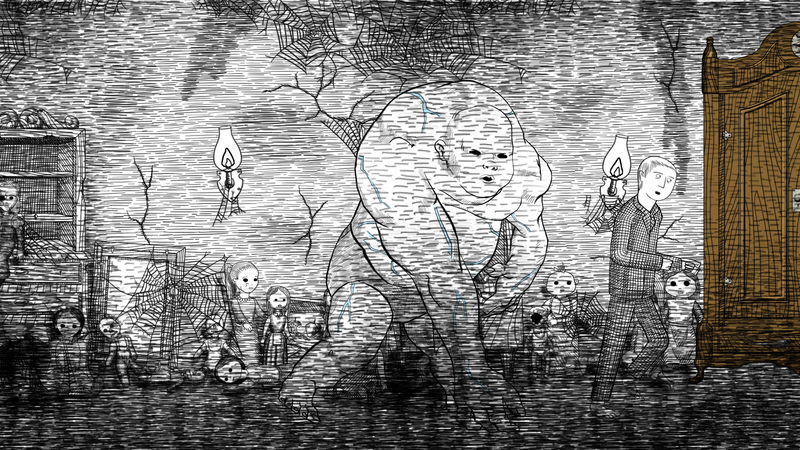 While Neverending Nightmares exemplifies what Matt felt at his darkest points, the game was also created to show those currently suffering from mental illness that they’re not alone—that someone else shares their horribly challenging and crushing experiences. Supports binaural 3D audio to make it sound like you are actually there when using headphones. Creates immersive horror by eschewing things like limited save points, item collection/ammo hoarding, and esoteric puzzle solving. "Not everyone will easily be able to see all the content the game has to offer. They'll be too freaked out." "This will give even the most hardened horror fan the chills." 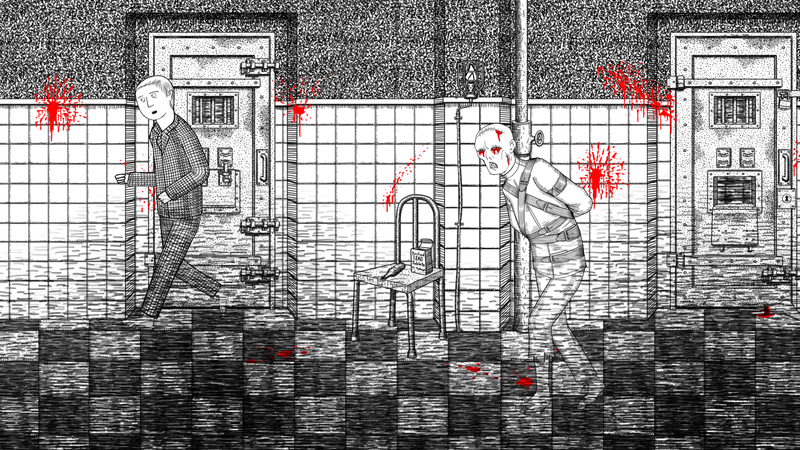 Press release announcing the mobile version of Neverending Nightmares infinitapgames.com.